Israeli soldiers abducted, Thursday, two young men in Palestinian lands, close to the border fence, east of Khan Younis, in the southern part of the Gaza Strip, and fired many live rounds into the area. 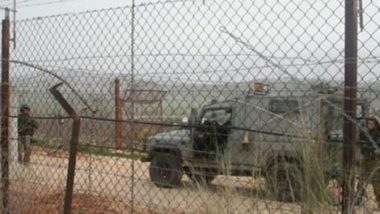 The soldiers, stationed on military towers and tanks close to the fence, fired many live rounds into the Palestinian lands, and abducted two young men, in their twenties, for approaching the fence, and took them to an unknown destination. The Israeli army frequently opens fire on Palestinians, including workers and farmers, in lands close to the border fence, in the northern and eastern parts of the Gaza Strip. Some Palestinian youngsters try to cross the border fence in an attempt to find work in Israel, and risk being imprisoned, injured or even killed by the army, to provide for their families in the impoverished coastal region.